James I, King of England (1566–1625), was a keen gardener. When encouraging silkworm production in England, he decreed that 10 000 mulberry trees be planted throughout the land to provide food for the worms. 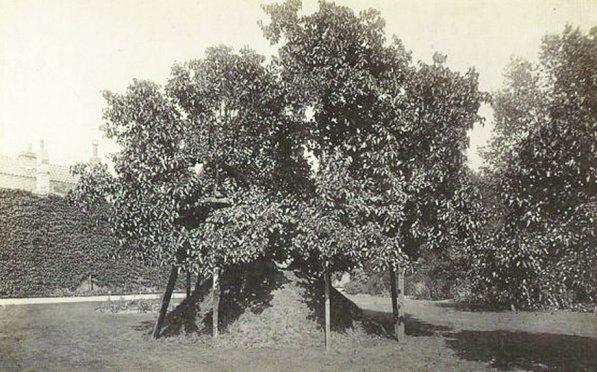 His adviser, William Stallinge, was paid £935 to set up a mulberry garden, and seeds were distributed to anyone who was willing to grow a mulberry tree. Stallinge, however, ordered black mulberry trees, which are far less suitable for silkworm production than the white mulberry variety. Christ’s College in Cambridge bought three hundred of the black mulberry trees for 18 shillings each. Of these, only one tree has survived to this day. 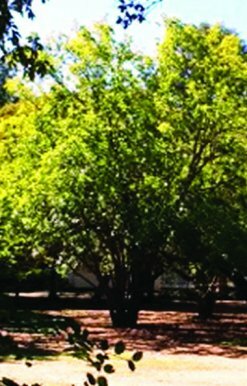 It is believed that this tree, known as the Milton mulberry tree, is an offshoot of the original grown up from the roots as the old trunk died off. 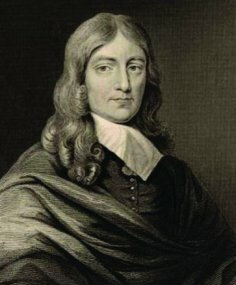 According to college legend, it was John Milton, the famed English poet and author of ‘Paradise Lost’ who studied at Christ’s College during the years 1625–1632, who planted the original tree. 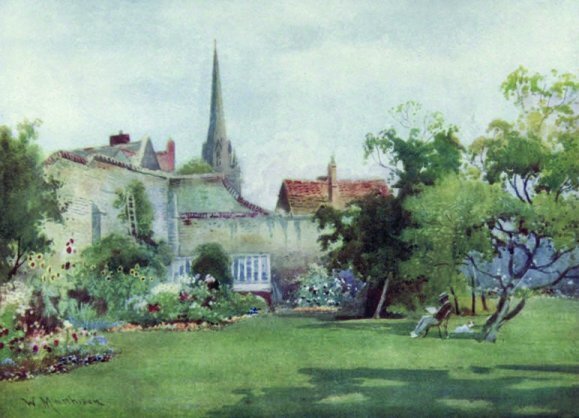 Another tradition has it that the tree grew from a cutting of a tree planted in 1609, the year Milton was born, and was named in his honour, as a former student of the college. 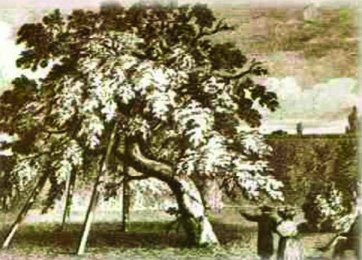 The earliest illustration of Milton’s mulberry tree is an unsigned, undated copper engraving from about 1825. It shows the tree leaning on its wooden props. The next, and for South Africans perhaps the most important note on the historic tree, dates to 1931 and concerns the famous statesman Jan Smuts, an amateur botanist of renown who graduated from Cambridge University in 1894. In 1931 Smuts returned to Christ’s College to attend a celebratory dinner. The head gardener was asked to give the visitor, a Fellow of the College, a cutting from an offshoot of Milton’s mulberry tree. Smuts planted the tree in his garden at Doornkloof in Irene. Alas, it was forgotten as time passed on. I did, in years gone by, make enquiries about the tree but the only information I was able to extract from previous curators of the Smuts House Museum was the shrugging of shoulders accompanied by the words, “the tree must have died ages ago”. On a recent visit to the museum the subject of the mulberry tree came up. Denis Bredenkamp, an octogenarian who is still lending a helping hand to the Friends of the museum vaguely remembered that someone had pointed the tree out to him. It grew not far from the house when he was a young man, and there it stood, not more than 30 metres distant from the entrance to the museum with its main trunk surrounded by a number of offshoots smothered by neighbouring trees. The strange sensation to find the forgotten mulberry tree is difficult to describe. The first reaction was one of getting the immediate help of a trained horticulturist to free the tree of its encumbrances, and to surround it with a kind of fence, and to erect a plaque on which the details of this priceless living specimen with a past too precious to be ignored, are proclaimed. With the care provided that this tree deserves, it will surely show its gratitude by bringing forth the sweetest mulberries that have ever grown in Pretoria. At Cambridge it has long been proven that the older a mulberry tree is, the tastier its fruits are. Every year mulberry jam is produced from the fruit the Milton mulberry tree produces, and the small number of jars containing the rare delicacies are among the most highly appreciated gifts that may be handed out by the college. It does not need much foresight to imagine that a jar of mulberry jam of the Jan Smuts Milton mulberry tree could be a sensation among the connoisseurs of fine food of South Africa. It may take a while to harvest the first crop of the rediscovered tree, but is it not worth one’s while to wait for the availability of vintage mulberry jam of Doornkloof to be announced? And who would have thought that a jar of mulberry jam could do more to bring the old house museum that was, for more than half a century, the home of one of the most famous sons of South Africa, to the attention of the world?